Please check out the talking points in support of the resolution in the leaflet at left. and learning conditions and a more democratic union. 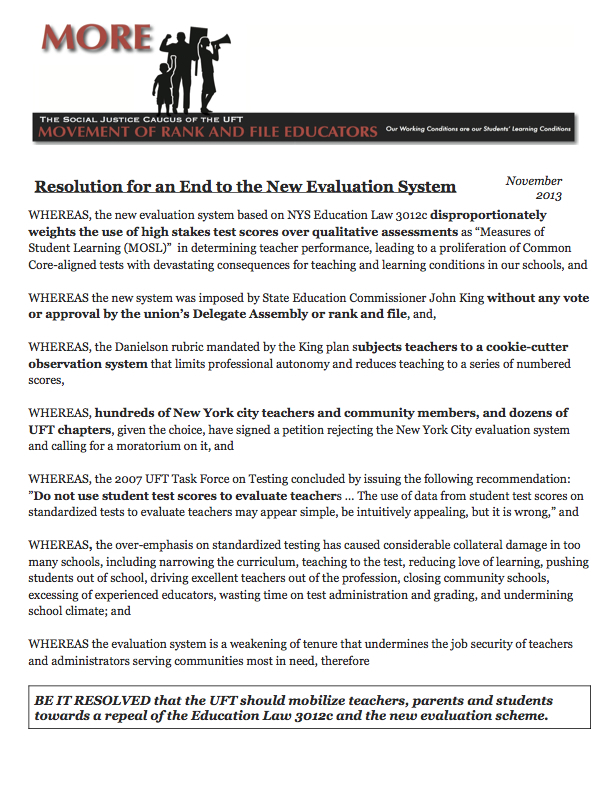 By forming NYCEDF, MORE and its allies intend to increase grassroots support for a fair contract and to organize effective opposition to the new teacher evaluation system imposed on city teachers by State Education Commissioner John King and the high-stakes testing regime that has been so detrimental to the City’s public schools and students. Mr. Lirtzman was the New York State deputy comptroller for administration from 2003 to 2007 and became a NYC public school teacher at 54. He taught mathematics to students with disabilities at a high school in the Soundview section of the Bronx from 2009 to 2012. Mr. Lirtzman became aware of serious violations of federal law and state regulation concerning students with disabilities in his school and warned his principal about them, with no response. 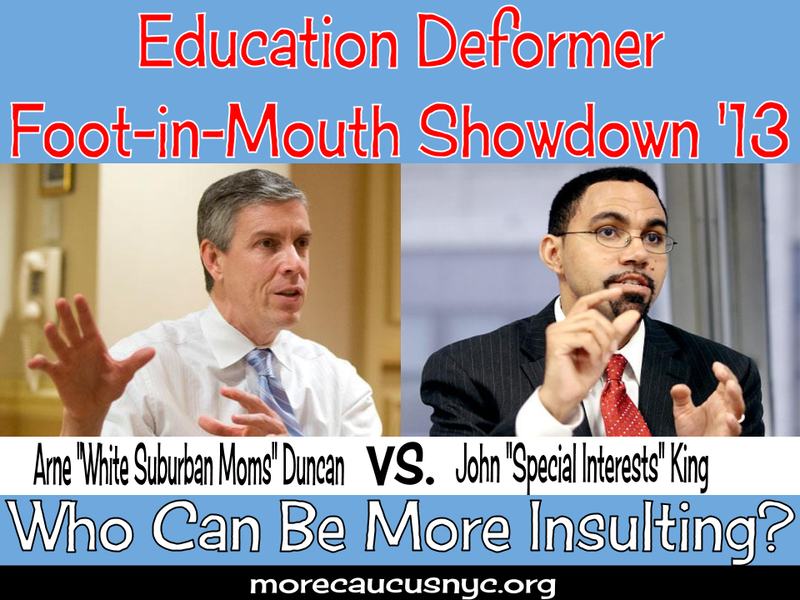 After being stonewalled by the NYC Department of Education, he refused to be silenced and took his case to the State Education Department (NYSED) and the US Department of Education. 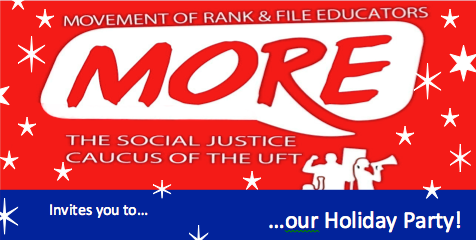 NYSED sustained the most serious of his allegations and placed the school and its principal under state supervision for six months to ensure that a wide-ranging compliance plan was fully implemented. Mr. Lirtzman, who has since retired, is now an ardent supporter and friend of MORE. His donation provides money to pay for the costs of setting up and operating NYCEDF and to support its ongoing advocacy and education efforts.